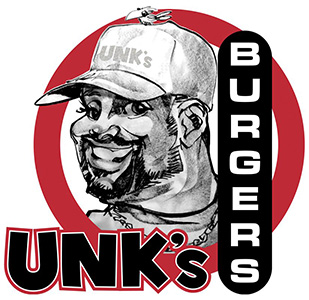 Online ordering menu for UNK's Burger. If you're looking for a juicy, tasty, and succulent burger, then you've come to the right place! UNK Burger in Lee's Summit will serve you fresh (not frozen) burgers on buttery toasted buns. A few of our burgers include the Double Basement Boy Burger, Grilled Turkey Burger, and the Veggie Burger. Our Breakfast Burger is served with bacon, egg and a hash brown on top! We also serve Crispy Chicken Sandwich and Grilled or Crispy Chicken Salad. Find us south of Summit Fair and SummitWoods Crossing on Oldham Pkwy. We're not far from Lee's Summit Municipal Airport. Order online for carryout!